Why would I choose to walk up the side of a snowy mountain, 12,000ft above sea level, in ski boots when there are perfectly good chairlifts? It pays to be different. In skiing, sometimes that means hiking. 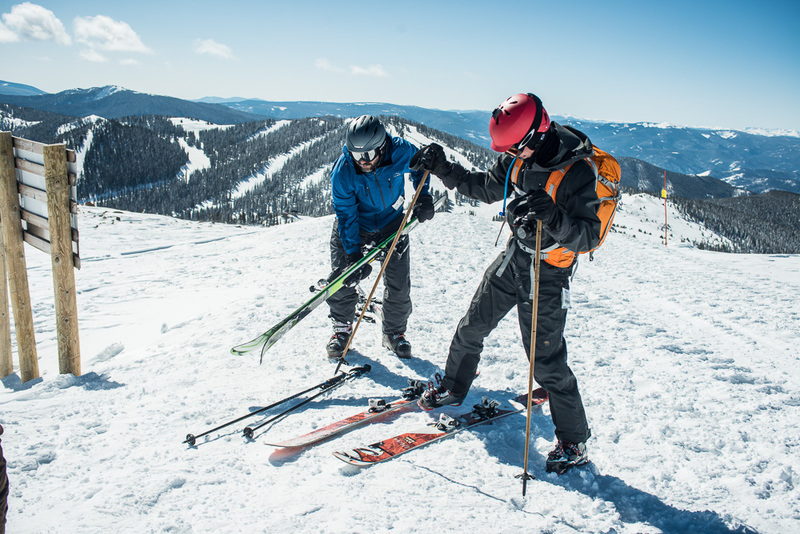 Many big mountains have hike only back bowls and faces and if you've never loosened up those boot buckles and hoofed it up the last couple hundred vertical feet, you are missing out on one of the easiest, cheapest, and safest ways to experience backcountry skiing. 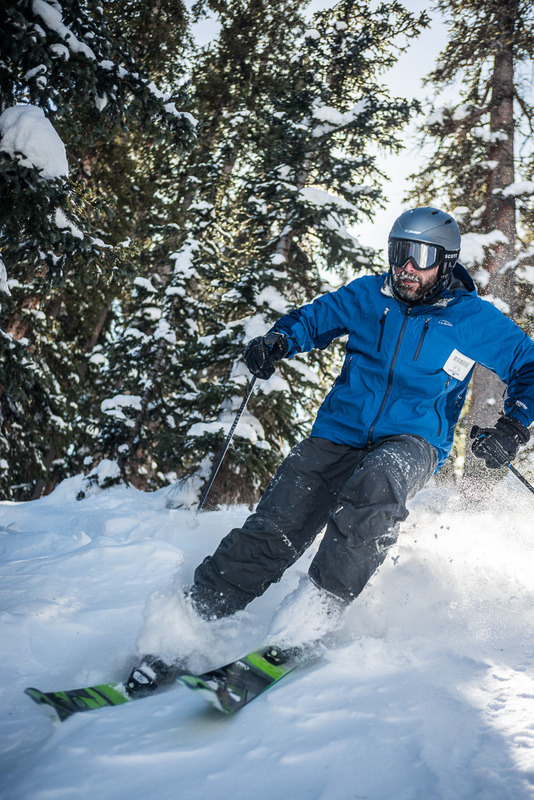 Big open bowls above tree line, beautiful open glades, and super steeps can all be found on lift accessible terrain at most big mountains in Colorado. None can boast 3 feet of powder, days after a storm. Too many people have been there, skied that. We had fantastic weather for our trip to Monarch. It dumped snow before we got there and continued as we arrived during the weekend. It was great to see the joy on the faces of locals who were there seeking the best snow in the state and getting it, but it was also a very busy weekend for the mountain. Despite the great snow, I took the extra crowded Saturday off in favor of a little exploration hike and soak in a hot spring (I'll put up a little post about it soon). By the end of the week, much of the powder was packed down pretty well on most of the mountain. But not in Mirkwood. Mirkwood is over a ridge that no lift crosses. You have to walk over the ridge in order to get to that face of the mountain. 99% of people will never do it. But you should. As is so often true, a little extra effort at the right moment will payoff big. Not by getting you a little more of what everyone else has, but by getting you something entirely different, which they will never see. 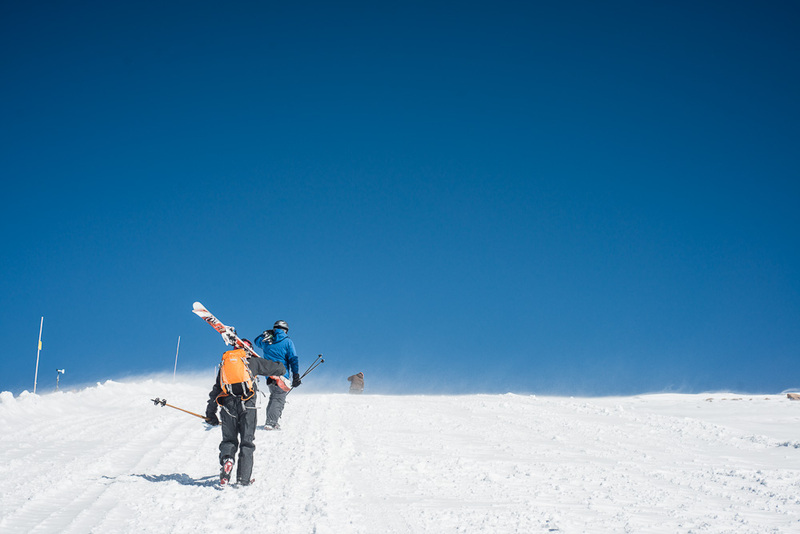 And in a few years time, what will you remember: a 15 minute hike or the best ski run of the year?